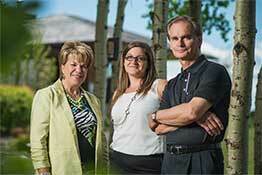 Hawk's Landing is located in Priddis, Alberta adjacent the Priddis Greens Golf Course. It is a secluded escape from the City of Calgary just under 16 minutes from the city limits. The development includes beautiful wooded lots with most over 1/2 acre in size with many backing on the well know and prestigious Priddis Golf & Country Club Course. Several estate builders still have some lots available to build your dream home on. 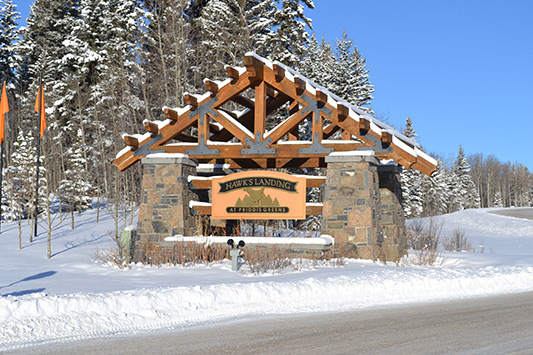 Hawk's Landing has the warmth and restorative power of a vacation home getaway in Banff or Canmore, but offers the incredible benefit of being a primary residence for the families who call it home within 20 minutes to the Calgary south limits. Hawk's Landing features family-friendly conveniences including playground equipment, pathways and green spaces, and recreational conveniences like world class hiking and exceptional golf all in the community's backyard. Homes in Hawk's Landing are truly high calibre with many varied styles and designs built by custom and well know builders. Home range from 1,800 sq. ft. to well over 7,000 sq.ft. executive style entertaining homes. Architectural guidelines and restrictive covenants ensure the high quality of the community is preserved in Hawk's Landing. A reasonable monthly fee is included for living in this area and includes: capital reserve, sewers, water (potable versus irrigation TBV) garbage collection, landscaping maintenance of common areas, entry feature, mail kiosks, road side swales, amenities maintenance for entry feature and mail kiosks, infrastructure maintenance for sewage treatment facility and irrigation and administration. These inclusions to be verified as items may change from time to time by the administration board. This is a well managed and stunning community. The elegant residences at Hawks Landing rest on a verdant landscape of tropical foliage and dazzling waterways. The home interiors feature architectural elements like European kitchen cabinetry, granite countertops, marble flooring, top-of-the-line appliances, crown molding and much more. The development of 540 homes is secured by a 24-hour staffed gatehouse and roving patrol, ensuring residents’ privacy at all times. SEARCH HAWK'S LANDING MLS® LISTINGS NOW!